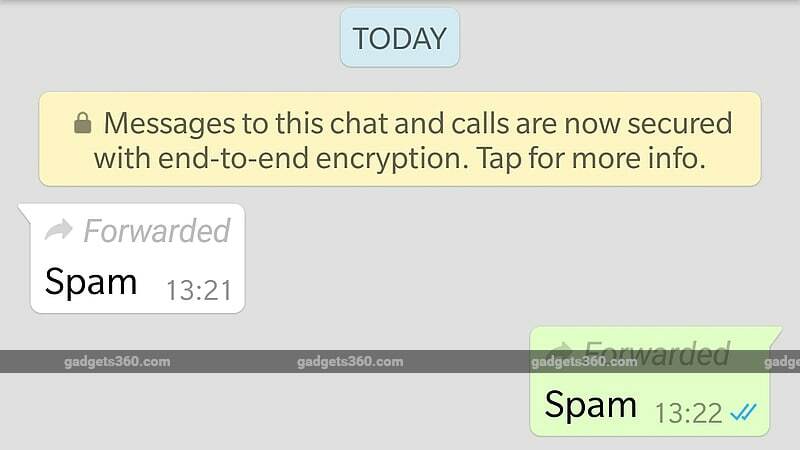 Android users has received a Whatsapp new beta version (2.18.179) that starts labeling messages that you forward to your contacts. There is specifically a ‘Forwarded’ label that will be added to all your forwarded messages. This helps to create a distinction between the forwarded messages and original messages. The label will be added to the forwarded message on both the recipient’s and sender’s. The latest change emerges days after a Media visibility feature launched in beta to let Android users hide or show the WhatsApp media content from their gallery. That feature was accompanied by a new Contacts shortcut that made it easy for WhatsApp beta version users to add a new contact. To see the newly added ‘Forwarded’ label, you just need to select and forward one of the messages available within another WhatsApp chat. The label will appear right on top of the forwarded message. Notably, there isn’t any option to disable the label. This means that you won’t be able to remove the label from the messages you forward to your contacts. The move may help make dent in the circulation of forwarded messages and spam, apart from helping better identify forwarded messages. The label on forwarded messages was spotted first in February as a ‘Forwarded Message’. As the Forwarded label is initially available for beta testing, you can experience its presence by downloading the WhatsApp beta version on your Android device. It is available through the Google Play beta programme or in an APK file form via APK Mirror.